Bring your dreams to life with Modern PC. 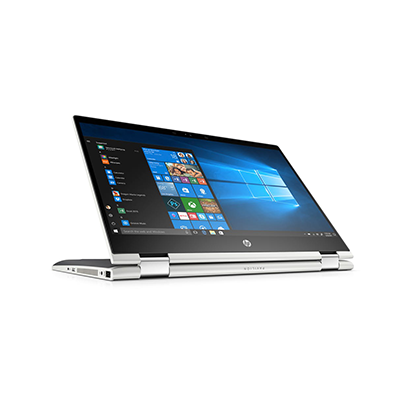 Designed for the modern lifestyle, with all-day battery life*, lightning-fast SSD, and next-generation Intel processors so you can work how you want, where you want. Helping small business owners like Sarah and Otis bring big business to life. What at first seemed like a pipe dream soon became a reality. 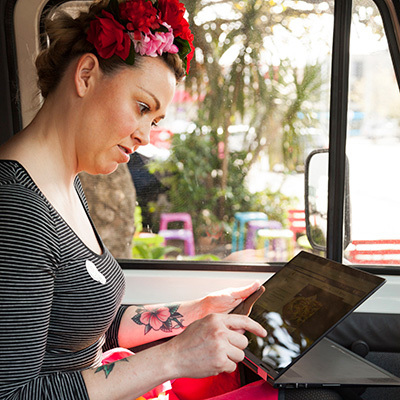 A Modern PC gives Sarah and Otis the flexibility to work on the go and has a long battery life they can rely on. 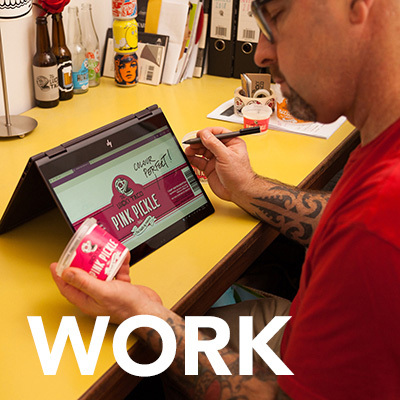 Work without limits on a device that you'll love to use. Modern PCs are built for life as it actually is, not some imaginary place where they don't have deadlines and our ideas are always perfect. 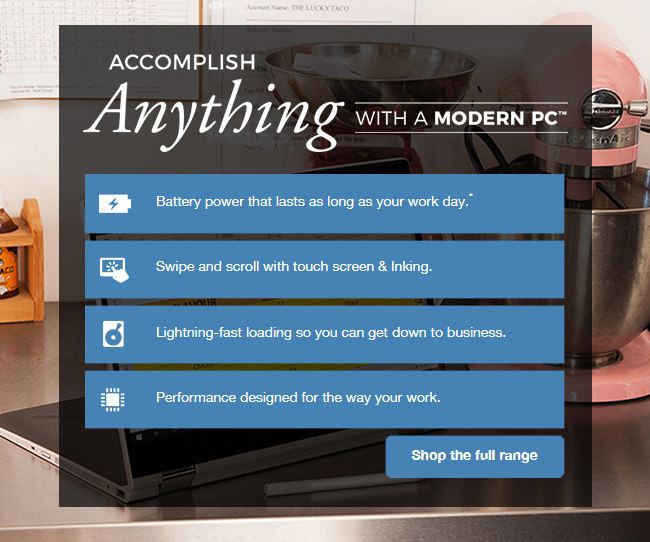 With a Modern PC by your side, you have the flexibility to work when you need to, not when your computer says you can. 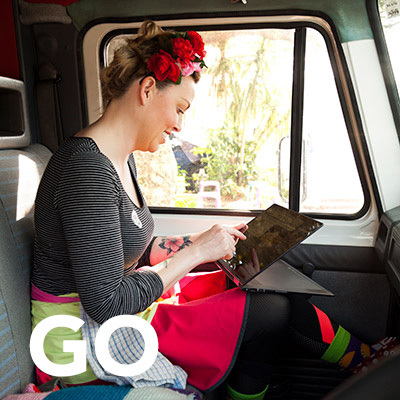 Its instant start-up with Windows® Hello means getting back into it is as easy as 1-2-3. 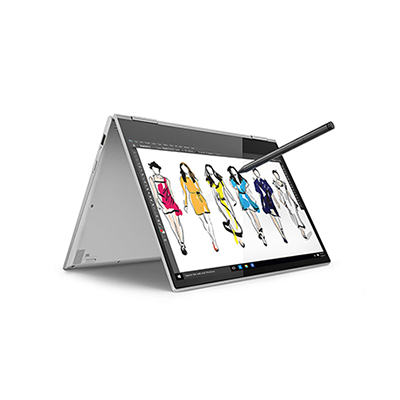 It's also thinner and lighter, so you can take it with you wherever life takes you. 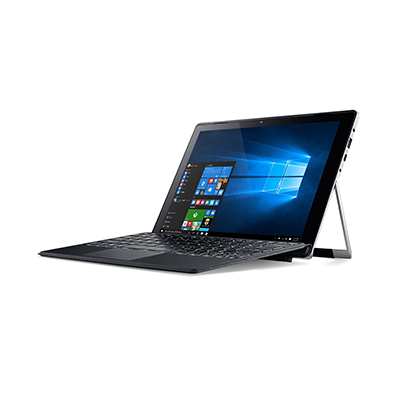 The versatility of its structure means you can use it in four different ways, depending on your needs - from conventional laptop to tablet. As if that's not enough, its all-day battery life means you can just keep working and don't have to go searching around for the charging cable. Enjoy high resolution media, incredible audio and access to a host of apps. Vivid displays, powerful processors and lightning-quick loading speeds mean you can enjoy the content you love without delay or distraction. Immerse yourself in high frame rate gaming. Run desktop software like Photoshop, Illustrator or InDesign and take your creativity to the next level. Surf, shop and connect across multiple tabs and programmes with ease. Modern PCs mean you can enjoy the very best of everything, no matter where you are. Lightweight, powerful and a joy to use. 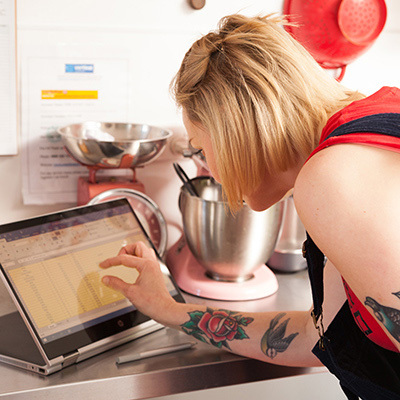 Designed to fit seamlessly into your lifestyle and to enable you to get whatever you need done wherever you need to do it, Modern PCs help you realise your potential day in, day out. Thanks to features like touchscreen operation, which allows you to interact without restriction, they are more intuitive and easier to use than conventional laptops. Long battery life means you can work all day and leave the charger behind so you can be more productive and more mobile than ever before. Portable devices allow you to work wherever, whenever but the benefit of this is undermined if battery life is poor. Modern PCs, however, are powered by lithium batteries so you won’t even need to think about taking your charger when you leave the house. All-day battery life gives you the power to adapt to whatever comes your way so you are always ready to deal with any problem and take advantage of every opportunity. The latest battery technology means Modern PCs are thinner and lighter than their predecessors. When paired with the fact that you don’t need to carry a charger, it’s easy to see how Modern PCs are designed for on-the-go productivity. Modern PC has taken the idea of the touchscreen and elevated it. 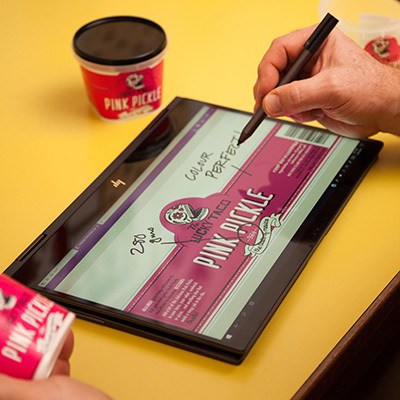 While touchscreens offer a more intuitive way of using your devices, the Inking function allows you to interact with your PC just as you would a piece of paper. The big difference, however, is the notes you take and the lines you draw can go a great deal further, meaning it's easier than ever to keep pace with your thoughts and your schedule. Take handwritten notes without a notebook and issue commands without a mouse: touchscreen PCs enable you to get more done with less equipment. Intelligent notes mean you can write a flight number and instantly check its status, scrawl an address and get directions or even jot down a phone number and call it with a single tap. Sketching and drawing is more intuitive with Inking. Use both hands to adjust the thickness of a line or employ tools like a virtual ruler to work just as you would on a page. Inking also makes it easier to make amendments, share insights and collaborate. Simply take a screen grab, annotate the page with your stylus and share the results with one click. 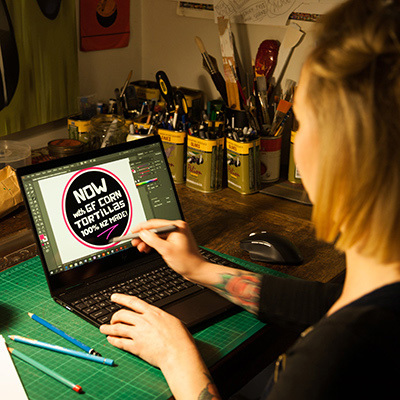 The next generation of Intel® processors puts the power you need to run the latest games, apps and software at your fingertips. What's more, these processors also work smarter and harder than ever before so you can enjoy longer battery life and faster start up times. The latest Intel Core processors are up to 200% faster than the type you would find in a 5-year-old PC so you’ll have the power you need to run virtually any software, anywhere. 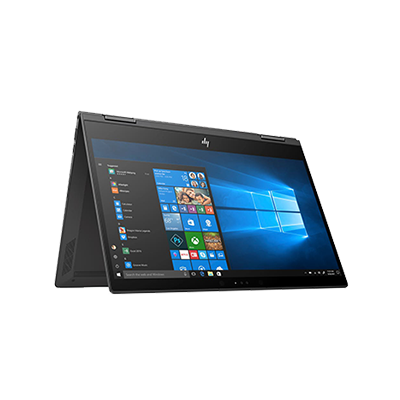 Lightning-fast boot speeds, seamless multitasking capabilities and an efficient performance mean you can get more done using less power. Optimised for Windows 10, these processors enable the likes of facial recognition and biometric encryption so your details are more secure and your experience more personal. SSDs are quieter, faster and more robust than hard disk drives – and the difference they can make to the performance of your PC is astounding. Instant boot up, rapid file access and near silent operation combine to ensure your PC works as quickly and efficiently as you do. Unlike conventional HDDs, SSDs don’t contain any moving parts. This makes them more reliable, more durable and even means that they run quieter. SSDs are far more efficient than standard HDDs. In short, this means they require less power and work faster so you can enjoy shorter load times and longer battery life. * Battery life varies significantly with settings, usage and other factors.